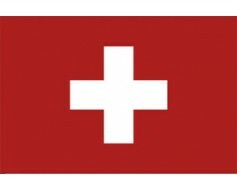 The traditional square design of the Switzerland flag. 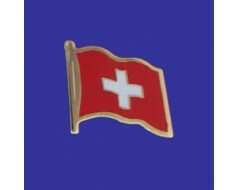 Durable outdoor nylon flag with applique (sewn) white cross and header with grommets for mounting. 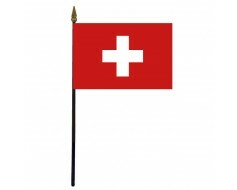 For other sizes or mounting types, please call or submit a custom quote request form. 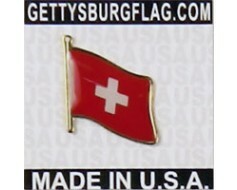 Switzerland Stick Flag - 4x6"
Thank you, GettysburgFlag for offering the Swiss flag in its proper format: SQUARE! I purchased one from you recently and am super-happy with the accuracy of the cross and the square format.